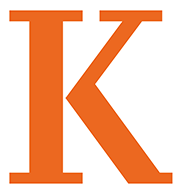 The First Year Experience at “K” is a nationally recognized program that helps students achieve academic success, identify and pursue their passions, connect with Kalamazoo College and the greater Kalamazoo communities, construct complex intercultural understandings, and develop a purpose-filled and balanced life. The program extends focused attention on new students to the entire first year rather than just the orientation period. Programs offered during orientation week focus on the dimensions of student growth in hopes that students develop lifelong learning, career readiness, intercultural understanding, leadership and social responsibility — the goals of a Kalamazoo College education. A common reading for the summer culminates with a discussion of the reading held during the orientation week. The first-year seminars start during orientation week and continue through fall quarter. All faculty participate in the first-year experience through advising and/or teaching a seminar. A strong advisor-training program provides the advisors with excellent advising materials so that faculty know how to work most effectively within the developmental advising model and to be even more effective with our students. A very successful peer leader program as a part of the first-year experience has upperclassmen applying for the opportunity to work with a seminar and becoming an active part of the advising team working with entering students from orientation through the first year. Kalamazoo College was named one of 13 “Institutions of Excellence in the First College Year” by the National Policy Center on the First Year of College and is featured in the book, Achieving and Sustaining Institutional Excellence for the First Year of College. And for three consecutive years U.S. News & World Report recognized Kalamazoo College’s FYE as a “program that really works.” Dr. Zaide Pixley, director of the program, was named an Outstanding First-Year Advocate by the National Resource Center for the First-Year Experience and Students in Transition in 2006.